They mostly abstained from using heavy artillery. In the past 24 hours, Russia-backed militants 20 times fired on Ukrainian army positions in eastern Ukraine: 13 times in the Mariupol sector, six times in the Donetsk sector and once in the Luhansk sector, the antiterrorist operation (ATO) press centre said on 5 September. 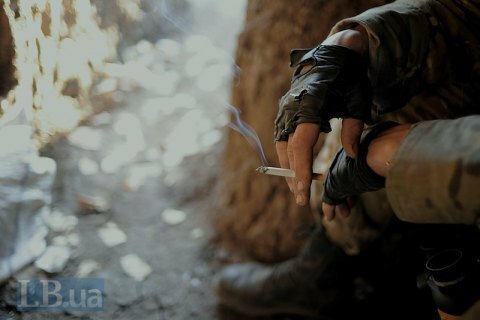 In the Donetsk sector, the militants continued provocative attacks from heavy machine-guns and small arms outside Verkhnyotoretske and near the towns of Avdiyivka and Yasynuvata. They fired with 82-mm mortars on Avdiyivka. An enemy sniper was active near Avdiyivka. Also, the militants fired small arms on the Ukrainian positions near the villages of Vodyane, Pavlopil and Talakivka, and the town of Maryinka. On Monday morning, the enemy opened fire with infantry fighting vehicles, small arms and rocket-propelled grenades on the positions of the Armed Forces of Ukraine near the village of Shyrokyne in the Mariupol sector. Maryinka came under sniper fire. In the Luhansk sector, Russia's hybrid military force fired small arms on the village of Novo-Oleksandrivka. Two enemy unmanned aerial vehicles were spotted in the Mariupol sector. "Overall, the cease-fire is being observed in Donbas, with the exception of occasional armed provocations by the enemy," the ATO HQ said.